A gallery of Great blue herons. They are elegant, though slow, flyers and dedicated nest builders. 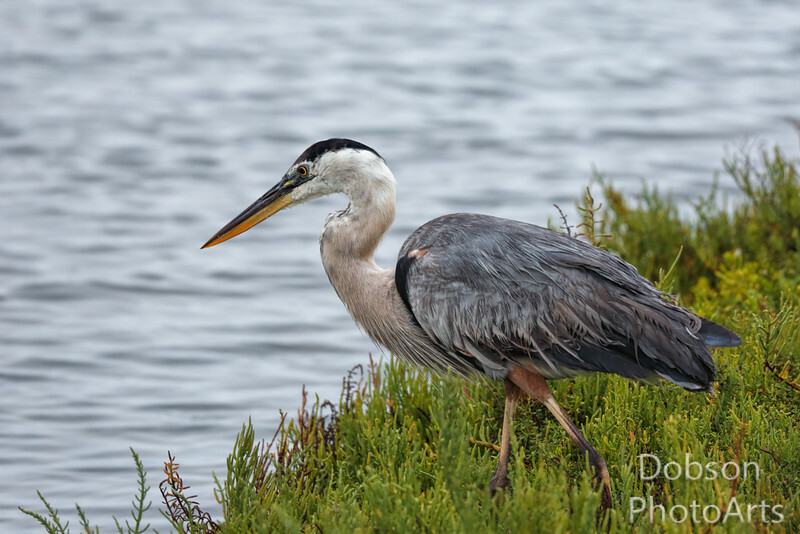 This Blue Heron was out fishing just after dawn on a wet and overcast morning. It would hide along the bank's edge, peek into the water and snag any fish that invaded its territory. It had quite a successful morning!